The Florida Adoption Reunion Registry: A primer. 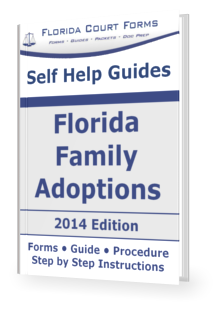 Find out all about the adoption registry and how it can be used to locate biological families in Florida. The FARR, as it is commonly called, was established in 1982 by the Florida legislature in order to give people the opportunity to reconnect with their biological family. With national statistics listing that as many as one in ten children are adopted, adoption affects thousands of people across the nation and in the state of Florida. FARR currently has more than 6200 people listed in the registry and sets up as many as 6 to 8 reunions a month. FARR is currently overseen and operated by the Florida Department of Children and Families. The goal of FARR is to connect adopted people with their biological families. Adoption happens for many reasons and in some cases; time does heal some emotional wounds. Many adults and children at one time or another become curious about their biological relatives. The Florida Adoption Reunion Registry can help people find that link and is an excellent resource to consider. Anyone associated with an adoption that is associated with Florida can be in the Florida Adoption Reunion Registry. This list includes adopted adults, birth parents seeking a child, birth siblings separated, birth aunts and uncles seeking a niece or nephew, biological grandparents, and adoptive parents on behalf of an adopted child. Any updates after the initial application cost ten dollars. FARR works by matching two or more people affected by an adoption in Florida. The database is a passive product that does not actively search for people. All it does is match people to others currently in the database. If a match is made, the Florida Department of Children and Families will get both parties in touch with each other. In addition to the Florida Adoption Reunion Registry, any applications mailed from the Florida Department of Children and Families include forms to list information in the International Soundex Reunion Registry (ISRR). Anyone searching for relatives never identified due to adoption needs should understand that FARR is not the only reunion registry in existence. Many states have registries and there is an international registry in existence with all of the same goals (listed above). In addition to Florida Adoption Reunion Registry, the Department of Children and Families has other resources for anyone associated with adoption. For instance, there is a Florida Post Adoption Services Unit. This unit helps adopted adults obtain non-identifying information such as medical and social history. The amount and type of information depends on the method of adoption and where they came from. If a private agency was involved in the adoption process, the private agency may need to be contacted in order to get the records. The unit does not charge a fee for the information, but if a private agency or attorney was used then fees may be charged. Another resource for anyone hoping to reunite with biological family is the Florida Adoption Information Center. This center can be contacted for information on the International Soundex Reunion Registry, other state operated reunion registries, local search and support groups, and even information provided by county courthouses. The Florida Adoption Information Center is a great Florida adoption resource that has helped more than 130,000 people since its formation in 1994. So what happens when you send an application to the Florida Adoption Reunion Registry? Currently many people ask this question in reference to the Florida Adoption Reunion Registry. After the application mentioned above, along with the 35-dollar fee and proof of identification, is mailed to the registry, the verification process begins. Before anyone can be added to FARR, the Department of Children and Families will verify and do a search on all records surrounding the application. This process can take several months depending on how many agencies need to be contacted and how the adoption was filed. After the verification process is complete, the name of the person on the application will be entered into FARR and a notification letter will be sent. If there is a match then letters contacting all matched parties are sent out to notify each person. Additionally, the contract allows the individual filling out the application to request non-identifying information of related family members. Once verified, all of that information will be sent to the individual making the application. For birth parents, the only information they are allowed to receive is a 3-month date range of when the adoption was finalized, the state where the adoption papers were filed, and the name of the attorney on record for the court proceedings. Overall, registering in FARR is a great way to find any biological relations severed by adoption. While FARR is not the only place to find information, it is one of the best and is a central state-run program specifically designed for the purpose of reuniting families. You Are Here → Homepage › Adoption › F.A.R.R.